Minister of Planning, Dr. Nuri al-Dulaimi, announced on Tuesday the strategy of the ministry regarding the file of displacement, stressing that this year will witness the closure of the file of displaced persons in Iraq, in cooperation with all parties concerned locally and internationally. This came during a meeting with Mr. Gerard Witt, Head of the International Organization for Migration (IOM) and his accompanying delegation, in the presence of Dr. Hussein Ali, Director General of Sector Planning in Al Wazra, during which he discussed the continuation of efforts to restore stability to return about 1 million displaced persons to their areas After the registration of the return of 4 million citizens who have already returned to their areas, according to data from the Ministry of Planning. 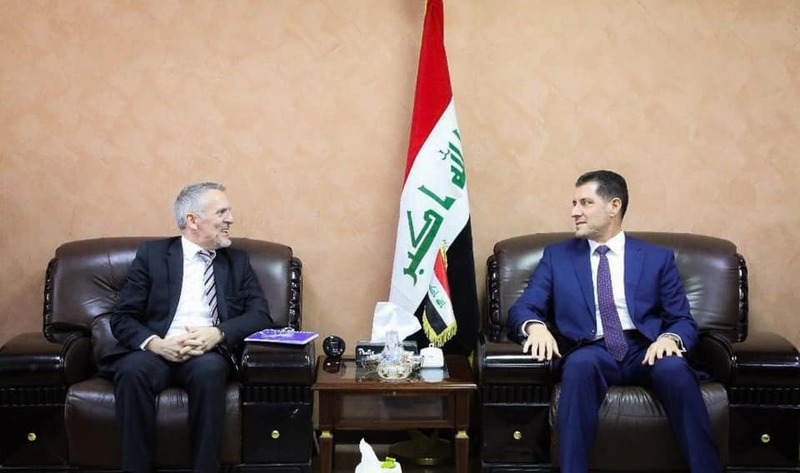 Dr. Nouri al-Dulaimi stressed during the meeting the importance of increasing international support to end the tragedy of displaced people in Iraq and to provide all possible support to local governments to support the restoration of stability in the liberated areas. He stressed the importance of securing basic life requirements, Jobs chances. For his part, the head of the International Mission for Migration (IOM) paid tribute to the efforts of the government to ensure the proper conditions for the return of the displaced, praising the cooperation of the Ministry of Planning with the mission, which directly contributed to the return of more than 4 million displaced persons.